Today women, because they are educated, compete with men to take up jobs. There is nothing wrong in going for a job. However, they must take care of their home needs before taking up a job. When wife and husband go to offices, who will look after their children at home? As the mother is not at home to guide them properly, the children go astray. If both the parents go out for jobs, they may be able to satisfy their desire for money, but there is every possibility of their children getting spoiled as there will be nobody at home to discipline them. Whatever moral values you have learnt, you have to teach your children. Whatever you have studied will have value only when you care for your children's progress. Education is meant to bring out the innate potential of an individual. This day (19th November) is being observed as Ladies Day. What does it mean? 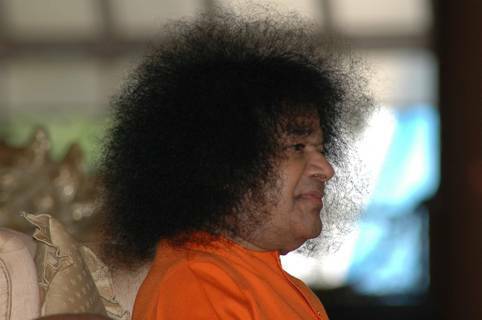 You think that this day is meant to do some sacred acts, listen to Swami's discourse, etc. It is not merely that. You should spend time in a sacred manner. What you learn today should be an ideal for your lifetime. Develop self-confidence. Under any circumstances uphold your self-respect. What is the use of living a life bereft of these two? You may not have money or strength and you may be put to disrepute, but always maintain your self-respect. Abraham Lincoln lived a life of self-respect under all circumstances. His mother taught him, "People may mock at you and ridicule you but never be perturbed. Always keep up your self-respect." Lincoln followed her teachings implicitly. He studied under streetlights as there was no light at home. Ultimately, he became the President of America. It was only because of his self-confidence and self-respect that he could occupy such an exalted position. The teachings of mother play a vital role in shaping the future of her children. She should make every effort to drive away bad qualities from her children and infuse human values like Sathya, Dharma, Shanthi, Prema and Ahimsa in them. This day (November 19th) is very sacred. Griham Ammayi, the mother of this body, used to speak to all with love. She could never withstand the suffering of others. She would come upstairs and plead with Me, saying, "Swami, they are in a sorrowful state. Please call them and talk to them." Her heart was filled with compassion. That is why her fame has spread so much. In order to attain a good name, you have to utter sacred words and help others. Whenever mother Eswaramma would come to Me with such a plea, I used to pretend to be angry and chide her, saying, "Why are you coming here with recommendations? I don't want to listen to them". But she would persist. She would continue to plead, "Swami, please take pity on them. They are in dire need of Your help. Please talk to them once." I used to be happy thinking, "How compassionate and kind-hearted she is!" Hri + Daya = Hridaya. That which is filled with compassion is Hridaya (heart). But, today man does not possess such a compassionate heart. He utters harsh words and thereby is put to disrepute. One should talk softly and sweetly. Never hurt others' feelings with harsh talk. Ever since ancient times, women have maintained their hearts pure. Savitri was one such great woman of India. She brought her husband back to life by winning over the Lord of Death. There are many such cases of women who have revived their husbands from death; but history does not speak of a single man reviving his wife from death! Women of such exalted character have set great ideals of womanhood in Bharat. Today's society is polluted because there is no encouragement for women to cultivate such high ideals. In modern times the ways of life are so perverted that only evil thoughts, evil feelings and evil behaviour rule the roost. In this situation Sri Sathya Sai Seva Organisations are encouraging women through opportunities in the wings like Mahila Vibhag, to develop good ideals of character and propagate them to the world at large. Only if the women come up in society, the whole world will turn sacred. The Organisation of women has achieved many great things, but men do not recognise their good work. Women are capable of ruling the nations and even the whole world if they make up their minds. Men should not consider women as mere slaves. Today our country is on the downslide because we take our women very lightly. In order to teach these ideals, I have proclaimed the 19th of November as the Ladies' Day, which is very auspicious. The importance of this day lies in propagating and realising the sanctity of motherhood, which is founded on the principle of selfless love. Children should be fostered on the principle of piety and virtue. This day will be celebrated by posterity for aeons. This day of 19th November is celebrated as Ladies Day in order to delve into the sacred qualities of women and disseminate them. Women are the repositories of Truth and Culture. Though earth is one, the plants vary depending on the seeds sown. The womb of mother symbolizes mother earth. As is the seed of thought sown in it, so is the fruit it yields. You cannot expect mangoes by sowing a neem seed. So, the mother's womb should be filled with good thoughts, good words and good deeds. Only then can she beget virtuous children. Today we find many children with bad character and bad behavior. The reason for this can be attributed to the bad thoughts of their mothers. Aryamba was a woman of virtues of noble character. She spent all her time in the contemplation of God and undertaking noble deeds. As a result, Jagadguru Sankaracharya was born in her sacred womb. Noble souls like Vivekananda and Ramakrishna Paramahamsa could attain exalted positions in their lives only due to the sacred feelings of their mother. This land of Bharat has given birth to may noble women like Savitri, who brought her dead husband back to life, Chandramati, who extinguished wild fire with the power of truth, Sita, who proved her chastity by coming out of blazing fire unscathed and Damayanti, who reduced an evil-minded hunter to ashes with the power of her chastity. It is because of such women of character that Bharat has attained the reputation of being the land of plenty, prosperity and opulence. It is the teacher of all nations. Today, the 19th November is celebrated as Ladies Day only to remind you of the importance of mother. You should conduct yourself according to the wishes of your mother. Do not disobey her. Chaitanya the great devotee of Lord Krishna married Lakshmi on the insistence of his mother, though he was not in favor of marriage. But as fate would have it, Lakshmi passed away soon after the marriage. His mother Sachidevi felt very sad for having got him married against his wishes. Chaitanya told her, "This is what happens when one goes against the dictates of one's conscience." So, if you feel what you are doing is correct, then try to convince your mother, but never hurt her feelings. There is nothing greater than mother's love. Mother's words are always sweet. At times she may use harsh words, but they are meant only to correct you, not to hurt you. There may be a wicked son, but there can never be a wicked mother in this world. Today is declared as mother's day only to make you understand the value of mother's love and her concern for you. Among mother, father, teacher and God, mother is given the topmost priority. The modern youth do not care for the mother. They think they are highly educated and that the mother does not know anything. It is a great mistake to think so. Never look down upon the mother. Even the mother should not compel her children to accede to her wishes. Through love and sincerity she should put the children on the proper path. She should aspire that her children be good, they need not be great. This Bharat is the land of sanctity and chastity which has given birth to such great women of exceptional character, who lent glory to Bharat as a nation of heroic women. From ancient times, the presiding deity of Gayathri Mantra, Gayathri Devi, has been worshipped as the Mother of the Vedas, which are held as the most ancient and authoritative scriptures of wisdom. Gayathri Mantra originated in this holy land. The glory of this Mantra has spread all over the world. The people of Bharat have worshipped Gayathri in several ways and have redeemed their lives. Gayathri has been worshipped in four forms: (1) Sathyavathi (2) Angavathi (3) Anyavathi (4) Nidhanavathi. All the four are equally sacred, and elicit limitless grace of the Divine. The world is symbolized by these four forms of Gayathri. That is why it is described as Nature (Prakriti), a female form (Sthri). We refer to our native country as motherland. The woman at home has been held in high esteem as 'Grihalakshmi", the goddess of prosperity of the home. When her husband faces difficulties, the wife readily shares the burden and is prepared to do anything, undergo any suffering or even sacrifice her life for the welfare of her husband and the family. It is the woman of the home who is behind the good reputation of the home. The woman is the embodiment of sacrifice. Though the male counterpart may also do sacrifice, it will be with selfish tinge while woman's sacrifice is absolutely selfless. Therefore, we should be proud of our women. In order to teach the subtleties of the scriptural texts, and encourage women to play their role in society, 19th is fixed as Mahila Day. Dharma can be made to occupy its position in society and restored to its pristine glory only by women. A married lady has many great titles like `Dharma Patni' (Righteous wife), 'Griha-Lakshmi' (Goddess of the house), (Lady of the house) and 'Ardhaangi' (equal partner of the husband). These titles have more value than socially recognized titles like 'Padma Bhushan' and 'Padma Vibhushan' (given by the Government). A lady must look after the home first and then work outside, if necessary. A house without a mother is like an empty choultry. A lady should be an ideal to her children, look after her husband and then do outside work. She can study, get degrees, enter politics or do any other work but she should not neglect the home, which is the very foundation of her life. Husband and wife are both equally responsible for establishing harmony in the home. But times have changed. Womanly ideals are not being practiced and there are no ideal men and women today. That is why the world is in such a sorry state. It is not my view that women should not get educated. They should have education. You may also take up jobs. But you should live up to the obligations and glory of womanhood. The first title given to a woman is Grihalakshmi (the goddess of Home). A woman is expected to confer all prosperity, honor and good name on the home and the family. She is characterized as Grihalakshmi and not Office- Lakshmi. Another title for a woman is Ardhaangi (The better half). This means she is the better half of the husband and not a partner in his job. The third title is Illalu (the Mistress of the Home). She is the mistress in the house and not in the office. Dharmapathni is the fourth title conferred on a married woman. This implies that the home is the dwelling for all righteousness. The home is the birth place of all the Dharmas (rules of right conduct) hollowed by usage from ancient times. What we have to safeguard and protect today are Truth and Righteousness and not the nation. When Truth and Righteousness are protected, they will protect the nation. Hence, righteousness should be fostered in the home. A home is no trivial place. The home is the abode of Dharma. which protects and safeguards the country. The home is the beacon which illumines the world and sustains it. Women should realize that, irrespective of their education or position, their foremost obligation is to protect the home. Consider, for instance, this fact. There are any number of women who have tried to bring back their dead husbands or to venerate their memory. How many men have done likewise for their wives? Many hasten to acquire a second wife. Wherever women are honored. there is prosperity and happiness. Women should never be slighted or treated with disrespect. A home in which the housewife sheds tears will be bereft of all prosperity. This is the ancient conception of the role of women in the home. Man is the chosen one in this whole world teeming with millions and millions of creation. Woman is very superior in the whole creation including man. There are many examples to prove that woman is really superior. Is it not because of the boons granted to Kausalya in the form of giving birth to Divine, Rama became famous and worshipped as God? Is it not by Sita's fostering and rearing that the twins Kusa and Lava became so great? Again, Shivaji became great and valorous because of the upbringing of his mother Jijabai. Gandhi gained reputation and fame because of the encouragement from his mother Puthlibai. Several great Rishis, warriors, various heroes and wicked people as well were born from the womb of the mother. That mother is the very embodiment of prakriti - nature. Gayatri is the very source of all Vedas. Gayatri is stree - embodiment of woman. Veda is the mother. When we see all these things, we feel that the woman has got a very high place, her birth is something very great and virtuous. The woman has been praised by the Vedas throughout the past and the present. The woman has an exalted place in the various rituals of the ancient times like Vaidika pooja, Vaidika upasana and Vaidika aradhana. The house becomes a forest when the woman is not there. Men have to think today that they should not make the women shed tears. They should respect and revere them. Then only there will be prosperity and happiness. Wherever the women shed tears, that house will go to ruin. Men have to carry on their lives by respecting and revering women to the extent possible. The woman with nine different powers is the very embodiment of Adhi Sakthi. Sabda Brahmamayi, Charaacharamayi, Jyotirmayi, Vaangmayi, Nithyanandamayi, Paraatparamayi, Maayaamayi, Sreemayi are the names given to women. This principle is nectarine. So the woman has got the worthy name stree. Women have the strength of mind and the courage to fight for the country and bring about harmony and peace. So Valmiki who described women in many ways said that women are the very embodiment of sweetness. What is the main reason for this sweetness? It is the quality of sacrifice in her that makes it sweet. The mother is prepared to go to any length and sacrifice for the sake of the children. She will sacrifice even her life to protect her children. This sense of sacrifice is there only in the women. The father will say it is alright when the children are suffering from some disease. The mother tries hard to protect them. The quality of sacrifice makes her to be known as the embodiment of sacrifice. Mother is the very foundation of everything. A ma - Amma is the very first word. Therefore, she is called matrudevi. The four important sayings in the culture of Bharat are Matru Devo Bhava - Revere the mother as God, Pitru Devo Bhava - Revere the father as God, Acharya Devo Bhava - Revere the Guru as God, and Athiti Devo Bhava - Revere the guest as God. The mother gives birth to the children. She shows the father. Nobody has the authority to show the father. Only the mother has the authority to show the father. Then the father shows the Guru. The Guru leads the child to God. This is the ancient tradition and culture of Bharat. We say that this world is full of discord. From where has this discord come? It has come from within. So every time we celebrate the stree dina on November 19, we should propagate this type of thoughts. Not only good thoughts should be propagated but they should start right at the home. You should train the children with good thoughts. You have to remain peaceful even if the husband is wicked. This is an auspicious day dedicated for women. If women change, men will definitely change. Women should take to the right path. Then men will also take to the right path. Because the women can be a leader, she shares half the body of the man. She can change the men either today or tomorrow if she has good thoughts. So women should inculcate compassion, love and sacrifice. There is no quality greater than Sacrifice.